No added sugar at all. This means no honey or other “natural” sweeteners that many paleo cooks/bakers use. This also means no dark chocolate. No alcohol. Many paleo followers will still drink alcohol in the form of wine or gluten free liquors, like tequila. On the Whole30 you have to give up alcohol completely. No cheat days. You must stay true to paleo 100% of the time, no exceptions or else you have to start over. No dairy. This is more for people who follow primal instead of paleo. Over time I drifted into the primal camp due to my love of cheese (grass fed only of course). Following the Whole30 is very challenging because many consumer products that you wouldn’t think contain bad oils, MSG or soy lectins, which are not allowed. I was surprised to find that a bag of cashews I bought had peanut oil on them. I’m glad I read the label before I started eating them. During the Whole30 you pretty much can’t go out to restaurants because you never know what was used to prepare the food. While following the Whole30, you are not allowed to weigh yourself. The creators, Dallas and Melissa Hartwig, created the Whole30 as a way to improve people’s health, not as a weight loss gimmick. They suggest you don’t weigh yourself during the Whole30, just right before and right after. This will allow you to focus on how your body feels instead of being obsessed with the scale. There are several reasons I decided to do the Whole30. I have been pissed at myself for cheating on paleo more than I would like. Once you have invested a week or two into such a strict diet, the free cookies or cake at the office just don’t seem worth cheating. I’m trying to shed a few pounds and it has been going a lot slower than I would have liked. I am headed to business school in the fall and I would like to be in perfect shape when I get there. I won’t have as much time to hit the gym and cook for myself while I am there. If I am going to gain weight while in school, I would like to start from 170 instead of 195. I have been drinking too much and I wanted to cut it out. I looked at my health tracker and saw that I was averaging around 600 calories a day in alcohol!! No wonder my weight loss was so slow. Even after my Whole30 is over, I plan to scale back the drinking. I wanted to prove I could. This is the only time I will be able to do the Whole30 in the next 5 years. While in school there are a lot of recruiting events where it just isn’t feasible to follow paleo. When I graduate, I plan to be a consultant. As a consultant it will be impossible to follow paleo completely because I’ll be on the road 4 days a week and won’t be cooking myself. So far I have been following the Whole30 completely. There was a close call on some paleo chili I made, but thankfully I bought tomato sauce which was sugar free. The one thing that I haven’t followed is the no weighing yourself. It isn’t because I care so much about my weight but because I have created a health tracking model in Excel which requires my weight to calculate what my calorie intake should be. I’ll do a post about my health tracker later; I love it and am addicted to it. So far my experience has been pretty good, but it has been a challenge. Cutting out alcohol has been especially hard for me as a guy in my 20’s with a social life. I’ll do a post specifically on my experiences later. In summary, the Whole30 is not an easy task. However, nothing that is worth doing is ever easy. If you are serious about improving your health then give it a try. 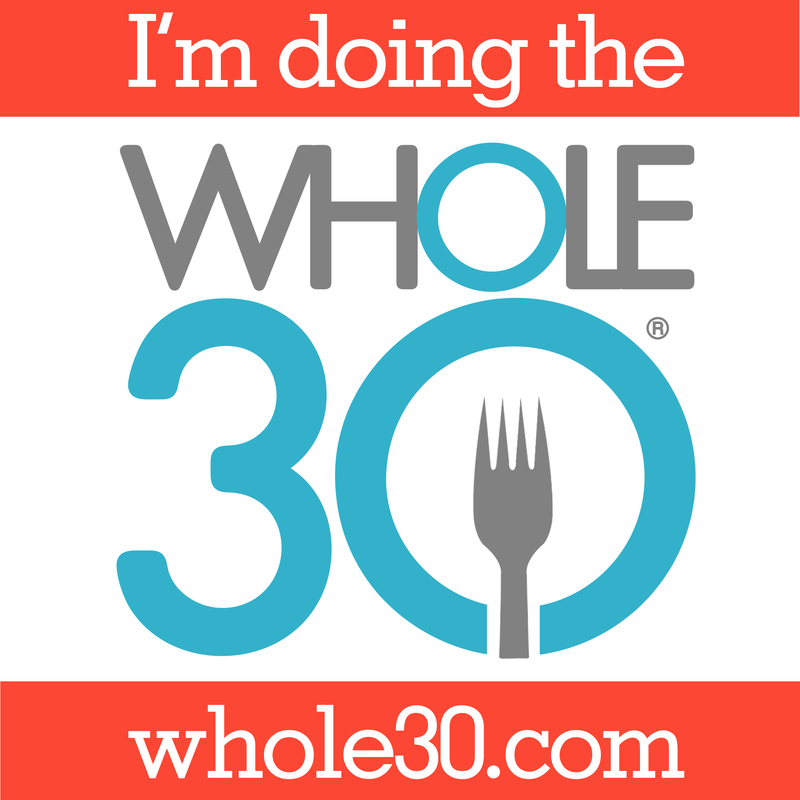 To learn more about the Whole30, check out the book: It starts with Food. I read it two years ago and it is really great.